A very experienced Mediator who originally qualified as a Chartered Surveyor and was previously a Managing Director with 20 years’ experience of resolving complaints and claims, Bruce Bourne has a sterling record in conflict resolution. As a mediator, he covers all legal areas except family, with particular experience and proficiency in complex and/or multi-party disputes. Bruce's 2017 Chambers Directory entry of mediators confirmes "He has an amazing skill in damping the emotions down and getting people to focus on the real world" He has "very good leadership qualities and down-to- earth manner." 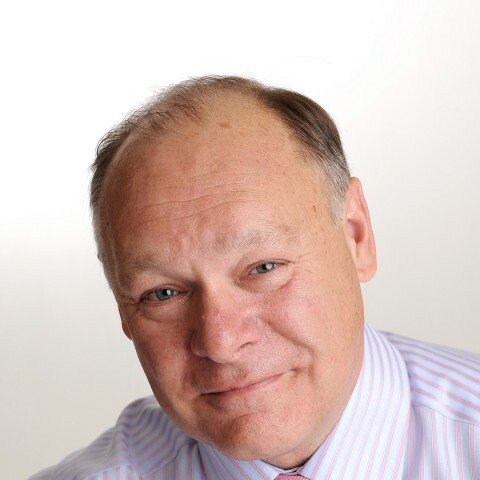 Bruce's 2015 Chambers Directory entry of mediators reflects his style " Bruce Bourne marshals his experience as a Chartered Surveyor to bring a commercial and pragmatic approach to a wide array of mediations. He is experienced in areas such as property, and he enjoys a strong reputation for his assured dispute handling. Bruce’s 2014 Chambers Directory entry of mediators states "takes a gentle role, allowing the parties to let off steam, thereafter allowing the dispute to focus on facts rather than emotional baggage." A chartered surveyor, Bourne regularly tends to construction, employment and property matters. “A good mediator needs to have excellent people skills and be able to communicate at all levels. A mediation is a ‘managed negotiation’; my years of professional experience as both an MD and CS have taught me how to manage a very varied group of people by earning respect and trust. “Mediators should be positive and approachable, yet firm, so that they can help the parties to trust and respect them, whilst managing the process and the people. They need certain knowledge of the case matter, although do not need to be an expert. An active mind, with the ability to follow complex mathematical solutions, is also required; again, my commercial experience provides me with these skills. As the weekend has passed we have felt so relaxed and realised what a pain this has been to us, and the solution is down to you. I think you should apply for membership of the Magic Circle after you pulled the solution out of the hat. Bruce was very professional and an excellent mediator. This dispute has been going on for over 7 years and with Bruce's assistance, we finally managed to resolve it. Excellent mediation. Bruce was superb thoughout the day in what was, it has to be said, quite a challenge. My clients thought he was excellent. "I have used many mediators in recent years, and have been a mediator myself for the last 6 years, and Bruce is one of the best I have come across. He got the measure of the parties very quickly and was instrumental in enabling an agreement to be reached which allowed the disputants (neighbours) to move on with dignity. As a mediator, I found myself making a mental note of some of Bruce's techniques!" "Bruce was excellent. He went over and beyond to assist the parties to reach resolution. He was incredibly professional and I would most definitely use him again." "I was the recently at a mediation where Bruce Bourne acted as Mediator. Bruce presented a calm face in a difficult matter whilst offering pragmatic empathy to my client's position. He worked hard to build a rapport with my clients and gain their understanding. Settlement was aided by Bruce's hands-on approach throughout the Mediation. Bruce stayed solutions focused despite the many hurdles that were presented. I look forward to working with him again." "The Mediator; Bruce Bourne made the agreement between the parties possible. He was excellent and I would like for my positive feedback to be passed on to him"
Bruce was a great asset and without his help we do not believe that we would have found a resolution. He has a very good understanding of personalities and how to work with them. He is more than a mediator but also a negotiator. We would highly recommend his services. Mr Bourne clearly understood both parties' positions and worked well to manage both sides of the mediation and the varied personalities involved. His assistance was greatly appreciated and it is clear that without his facititation the parties would not have been able to reach an agreement. Please pass on our sincere thanks. Bruce was very good indeed. I would definitely use him again. Mr Bourne was very likeable, well prepared, and in full control of the mediation and the personalities involved. He created an environment where my clients were able to make a decision, in their own time, to settle. A good result! "Bruce had a great way of making us feel comfortable and at ease, we can thoroughly recommend him." "Mediator excellent. I have recommended him to a colleague"
"Bruce did a very good job indeed but unfortunately was not helped by opponents who chose to proceed unrepresented and then decided they needed legal advice!" "I was very impressed with Mr Bourne. I would certainly use him again on this type of dispute"
"Bruce was very helpful and his background was helpful to the technical details of the case." "Bruce was instrumental in keeping the discussions going, and settlement ultimately being reached, when the parties were ready to pack up and leave." "Bruce managed to effect a settlement in half a day, no small task given that virtually no issues were capable of agreement." "Bruce Bourne is an outstanding mediator." "Bruce handled difficult characters very well, and maintained a good balance between letting parties vent yet not losing site of the need to focus them forward towards a resolution." "Bruce was, as always, an excellent mediator." "Very emotional case. Mediator did well to focus the minds of the parties. Very professional and a pleasure to work with." "Bruce brought to the mediation his substantial experience of property / land related matters that he used to great and telling effect, achieving a settlement not thought possible at the beginning of the day"
Contact Bruce to discuss how to resolve your dispute.